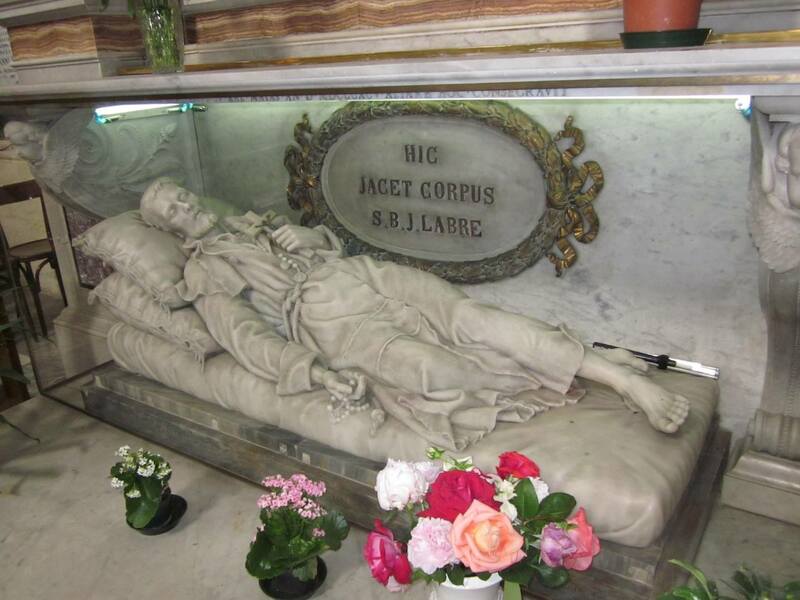 Today’s saint, Saint Benedict-Joseph Labre, was a homeless street person. His home, it is reported, used to be in a hole in the Colosseum. Probably a rarity, other street persons gave testimony for Labre’s canonization process. For many, the Labre is a great witness to the Gospel and therefore frequently visit the Church near the Colosseum and the Angelicum, Santa Maria ai Monti, where he is entombed. Saint Benedict-Joseph thought his vocation was to the contemplative life and therefore tried to join the Trappists, the Common Observance Cistercians, and the Carthusians; but was denied profession of vows. In many ways his cloister was the world. Wandering Europe, especially Rome, in complete poverty, spending his days in perpetual adoration of the Blessed Sacrament. He begged in the streets, and if he was given more than he needed for the day, he would give the remainder to a person he considered more in need. Benedict-Joseph healed some of his fellow homeless, and was reported to have multiplied bread for them; he was also the spiritual director for many. Given to religious ecstacies when contemplating the crown of thorns; reputed to float, soar, and bilocate when in these swoons. He died in a hospice, exhausted from his life of austerity. Father Marconi, Labre’s confessor and biographer, describes 136 miraculous cures attributed to him within three months of his death. May Saint Benedict-Joseph Labre show us the face of Christ today.